We Want to Shine a Spotlight on YOUR School! 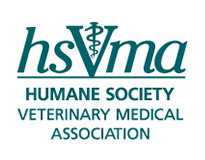 The University of Florida CVM's HAARTS program (Helping Alachua's Animals Requiring Treatment and Surgery) partners with local shelters and rescue groups to provide medical and surgical treatment to at-risk sheltered animals, which also helps enhance the surgical training of UF veterinary students. For ideas or examples, check out the schools highlighted here that are embracing technology, responding to the needs of their communities, and giving students a competitive edge when it comes to skill development. We offer $100 stipends for student newsletter articles highlighting welfare-minded programs at veterinary schools. For more information or to submit an article, contact [email protected].